The key things every archer needs in order to start his or her journey is of course, a bow and arrow. Both are equally important, but I will be focusing on discussing the bow. 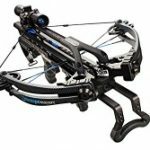 I’ve been through the process of selecting the best bow for myself many years ago when I began archery. I can still remember how much painstaking details I went through in order to choose which bow to use. Because of this, I decided to help archers like you – beginner or more experienced – to choose which type of bow to use. Archery has evolved so much already. 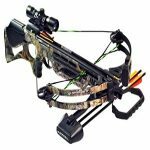 There is a wide range of bows to choose from such as the traditional recurve bow and more modern bows such as the compound bow. I will be using my knowledge about these two to compare and contrast using three criteria: body shape, mechanical advantage, and speed. The main difference between the recurve bow and the compound bow is, of course, their respective shape. The recurve bow is built so as to curve and then recurve for power. This design is common and is used for faster shooting. This allows the arrow to point straight when shooting for a more accurate aim. The recurve bow may be more common, but modern technology made it evolve into a compound bow. 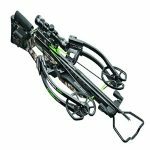 The main feature of the compound bow is that it has cams which allow the archer to “let-off” some weight while shooting an arrow. When an archer draws, the let-off is the chance for the archer to lessen the weight born. This cannot be done by a recurve bow wherein the full weight of the shot is carried by the archer. So the main advantage of having cams for let-offs is that there is more time to aim and steady the shot. I learned in my years of experience as an archer that the bow is the key in unleashing energy and accuracy. There’s a little bit of physics involved in archery so I’ll be giving you a very easy-to-understand explanation about the mechanical advantage aspect of a bow. 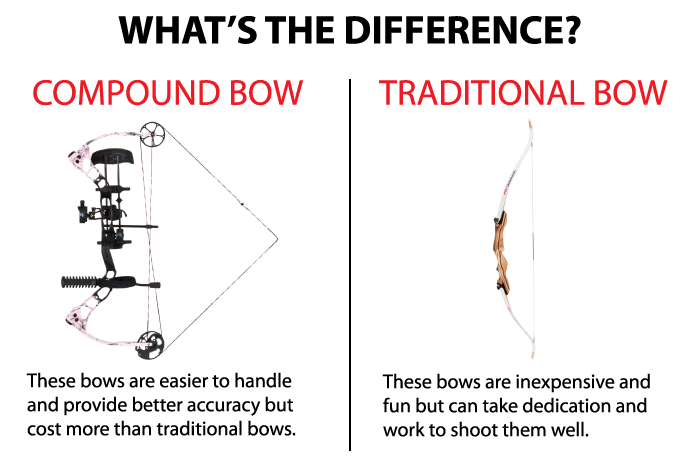 Mechanical advantage is used in evaluating the performance of a machine; in this case, a bow. Basically, think of a lever when you think of mechanical advantage. A lever amplifies the weight you put into an object and in the same way, the bow amplifies the force you put into a shot. In using a recurve bow, there is not much of the lever-like mechanical advantage due to the fact that energy is stored directly in the draw which increases the effort needed to draw. Yes, it is faster to shoot an arrow but if you’re pulling your maximum weight, say, fifty pounds, you’re pulling all of that weight. Whereas in using a compound bow, the concept of let-off that I discussed earlier makes a big difference. Because of the cams in the bow, the let-off leads to a longer draw and a steadier aim. Speed is vital in choosing the type of bow to use. The faster the arrow is, the more accurate it is. Let’s take a mini-physics lesson again. When an arrow is shot, it follows a trajectory or a path since it travels in a projectile motion. In simple words, an arrow follows a path that is not always a straight line. Most times, it arcs upwards then fall downwards to the target. The key to have an arrow that flies straighter is to have a faster arrow. In order to have a faster arrow, one must put a great deal of force into the draw. 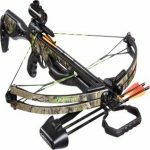 The compound bow seems to do a better job at this since it has a longer string because of the cams so there is greater power exerted into a shot. And as discussed earlier, the let-off allows the archer time to steady the aim. Because the recurve bow doesn’t have cams, if you’re pulling fifty pounds worth of weight, you’re pulling that weight in its entirety and that can be tiresome and could lead to a shaky draw. The pay-off lies in the notion of the projectile motion travelling through a trajectory. A recurve bow would achieve this straight motion and would hit the target faster whereas, the compound bow will give way to less weight in the draw and thus, a more powerful execution of the draw. As a seasoned archer, the three criteria I have presented you with which were body shape, mechanical advantage, and speed, are the three factors I have seen to be best taken note of in choosing a bow. There is a catch, though. There is no definite answer as to which is “best” to use rather, it all depends on your personal preference. If you have dreams of being an Olympic archer, it would probably be best to start with a recurve bow since that is what is used in the Olympics. 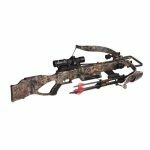 But if you’re going for a bow best for hunting, maybe the compound bow is for you since it will allow you less weight in a draw and a more accurate aim. But at the end of the day, it’s still up to you and whichever you’re most comfortable with. 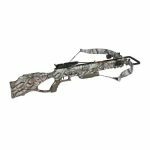 You can refer to our compound bow guide here. And our recurve bow guide here.